I have a project that is not a real development project. It has various text and graphics files in it, but no java source. There will be some ruby source, but it's not about the rube code. For some reason, this project view will not show me directories that exist in the project root directory (all the files do show up). If I go to the bread-crumbs above, I can see the directories and contents, but not in the project view. I've tried pretty much every option on the view I can imagine. Suggesitons for how to fix this are appreciated. I have selected "Project scope" and every other choice on the drop-down. None of them improve it. 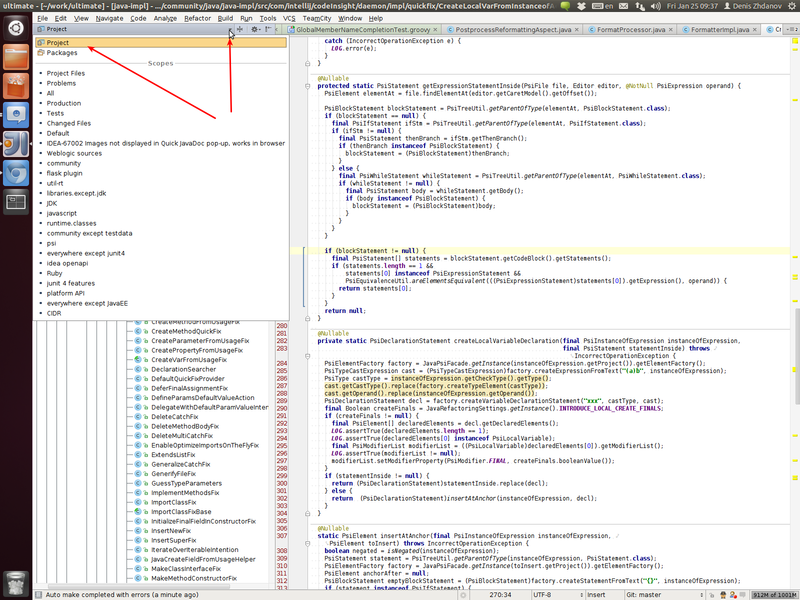 I think it will be a good idea if you show screenshot of what you have there (preferably whole IDE window) -- it's easier to guess what may be wrong when seeing actual "wrong behaviour". A friend was able to help me with it. It turns out that I had no module defined.